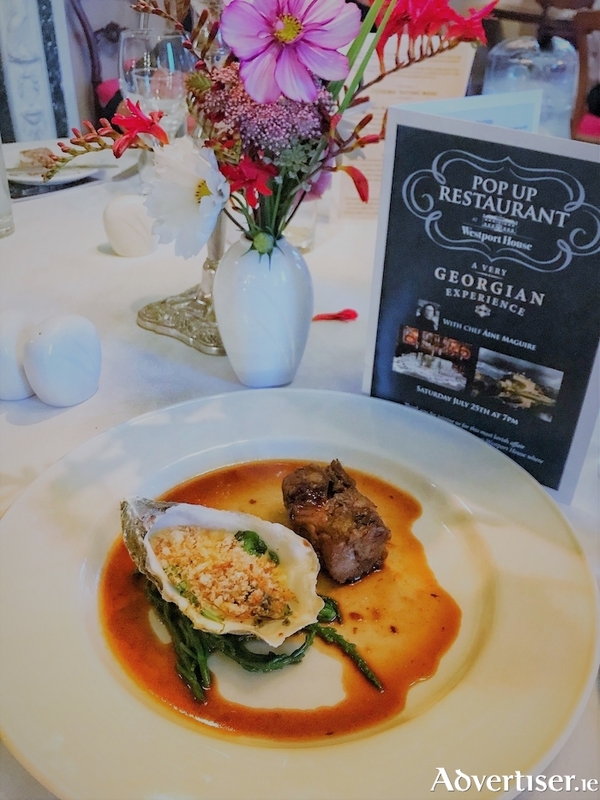 Step back in time with a gorgeous Georgian dining experience at Westport House, Mayo every Saturday at 7pm until August 25. Áine has spent months researching, preparing, testing and tasting potential dishes, dipping into famous cookbooks such as Mr’s Beeton’s Book of Household Management. With the help of Dr. Dorothy Cashman at the National Library of Ireland, the Westport House Dinner Books were unearthed in the Westport House Papers Collection and used to design the final menu, which will be served in the Drawing Room at Westport House, one of Ireland’s finest Estate Houses. The stunning seven course tasting menu reflects the heritage and fancies of the era, what dinner might have looked and tasted like in the House in the 17th and 18th centuries.